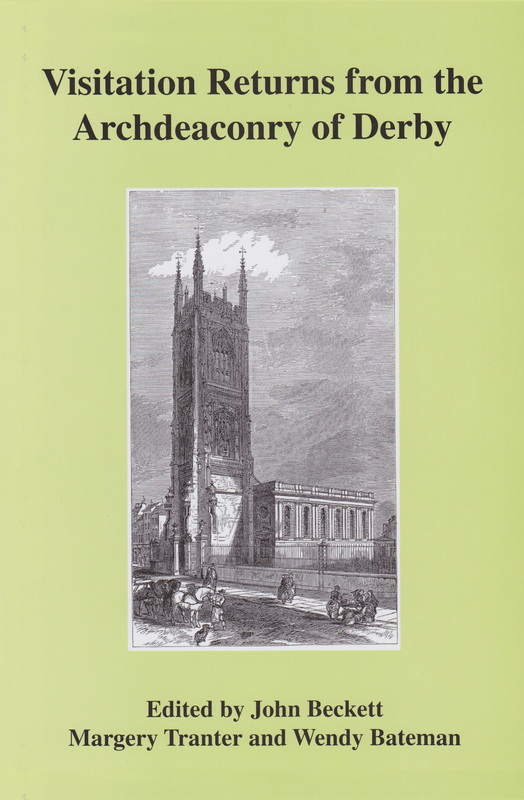 This volume prints the surviving returns to three visitations of the archdeaconry of Derby conducted by bishops of Coventry and Lichfield during the eighteenth century, together with a fragmentary return from one of 1824. The best preserved material relates to 1772, for which answer survive for most parishes in Derbyshire apart from peculiars outside the archdeacon&apos;s jurisdiction. The volume includes a lengthy analytical introduction by Professor Beckett. Answer to visitation questions of this period throw light on the Church at local level, including details of services, the number of communicants, the incumbent&apos;s income and whether he was resident. Other questions ask about schools and charities, and the number of Dissenters and Roman Catholics, as well as an estimate of the total population of the parish. Some ministers supplied a good deal of additional information about their community, all of which is included here.